Fallout 4’s newly released DLC lets you build complex gadgets across your settlements. Bethesda has three remaining DLC packages for Fallout 4, the majority of which put a heavy focus on player-constructed items. 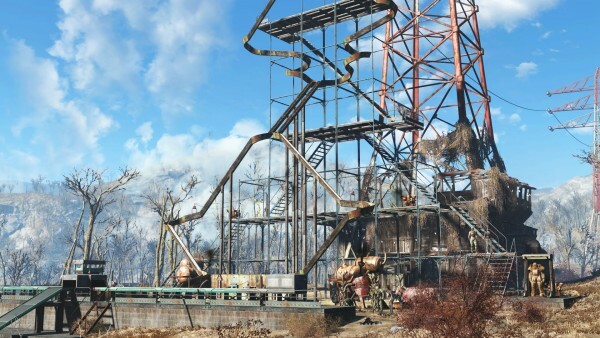 Outside of the Nuka-World adventure, players will gain access to Vault-Tec kits which let them design massive underground Vaults. 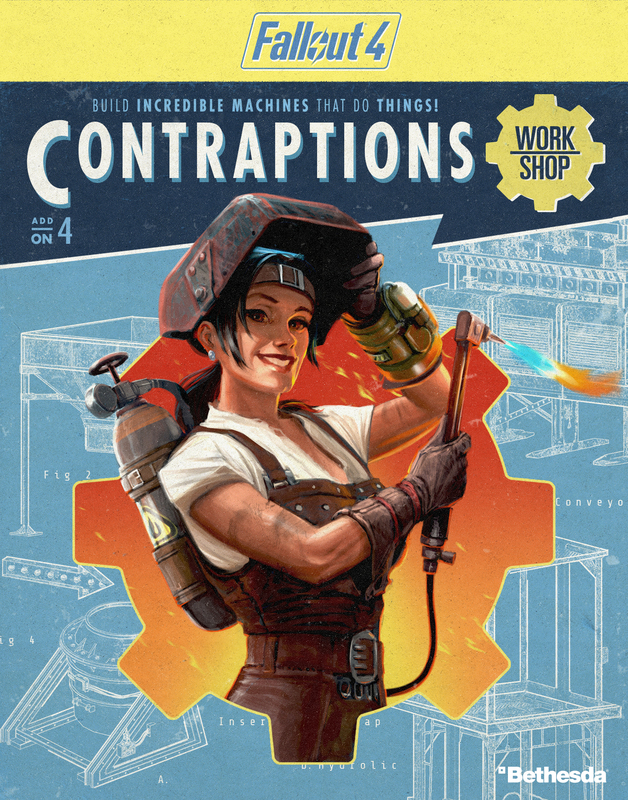 But players already have new construction tools at their disposal – you can pick up Fallout 4’s Contraptions Workshop right now, granting the ability to construct highly-complex gadgets across your settlements. The Contraptions Workshop grants access to conveyor belts, scaffolding kits, track kits, and logic gates to assemble ridiculous Rube Goldberg machines of your devising. Other features include elevators, greenhouse kits, warehouse kits, armor racks – even fun items like fireworks. Combined with Fallout 4’s pre-existing creation tools, players can expand their settlements in some truly creative ways. You can pick up Fallout 4’s Contraptions Workshop now for $4.99/£3.99. The Vault-Tec Workshop launches next month for the same price, while the Nuka-World DLC rounds Fallout 4 off for $19.99/£19.99.